Sharing in the charism of our foundress, Nano Nagle, the Aberdeen Presentation Sisters, in collaboration with the Conference of Presentation Sisters in North America the International Presentation Association, the Social Justice team, the Convent Animators and the IPA Justice Contacts for the Aberdeen congregation, all work to support justice worldwide, promote peacemaking, protect the earth’s limited resources and alleviate the cry of those made poor. Collaboratively we make a difference! 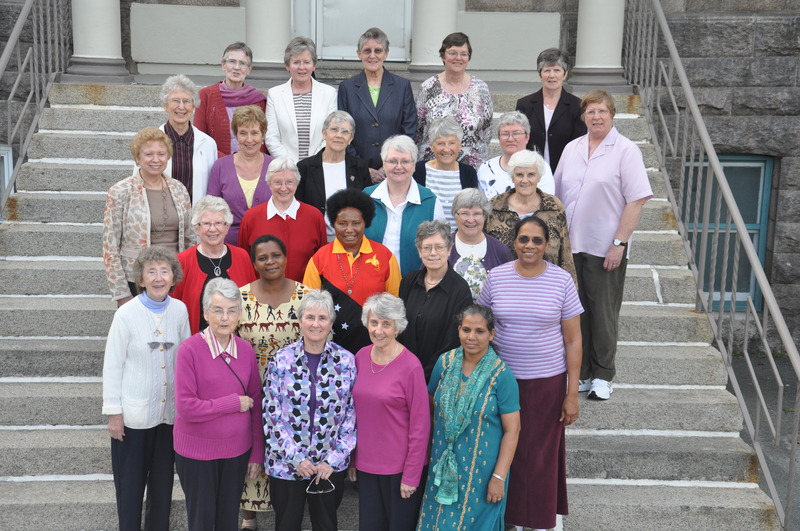 As Presentation Sisters, we work collaboratively to support justice issues worldwide. Through justice ministry, we seek to change the systems and lifestyles, which contribute to the extremes of wealth and poverty and degradation of the earth. As justice contacts, we develop strategies to integrate the vision and directions for mission of the International Presentation Association (IPA) into the life and mission of our individual congregations. Rather than taking a new direction in 2012, we pledged to continue the direction set by the IPA in 2007. In addition to peacemaking and nuclear disarmament endeavors, we recognize the interrelatedness of competition for earth’s limited resources, exploitation of people and land, damage to earth and poverty. Empowering Those in Need: A call for service Our mission focuses on meeting unmet needs, alleviating oppression and promoting human dignity, especially among the poor. As an apostolic congregation, we minister and live among those in need locally and globally. When our congregation initially began the most urgent need was for education, and the need for healthcare evolved soon after. Today teaching and healing have expanded to include ESL classes and tutoring programs to facilitate learning and spiritual growth while counseling services and massage therapy promote healing of the whole person. Peace/Anti-Nuclear: A call for nonviolence Presentation Sisters raise awareness and share with others the systemic injustices in our country and world by attending peaceful vigils at School of Americas. They support a seamless approach to life issues partaking in local, state and national Pax Christi meetings and conferences; working to abolish abortion and the death penalty and actively opposing possession of nuclear weapons. Death Penalty Statement and Nuclear Disarmament Statement Learn more about Pax Christi USA. School of the Americas Watch: A call for righteousness Each November Presentation Sisters attend a peaceful vigil held at the Western Hemisphere Institute for Security Cooperation, formerly School of the Americas (SOA), which is a training facility located on the grounds of Fort Benning, GA for mainly Latin American military officers in protest over human rights abuses, including murders, rapes and torture, committed by graduates or under their leadership. Peace Wants a Piece of the Pie: A call for peacemaking Each May Presentation Sisters visit the offices of local U.S. congressional representatives with pie in hand to request the Senators’ and Representative’s support of legislation that would set aside a small piece of the federal budget pie (1% of the U.S. budget) to fund a cabinet level Department of Peace that will research, articulate and facilitate nonviolent solutions to domestic and international causes of violence. Recycle and Promote/Use Renewable Energy: A call for conservation Efforts to care for the earth and its resources have been a part of life for the Presentation Sisters for many years. Sisters and employees of Presentation Convent have recycled paper, aluminum cans and plastic bottles for several years and replaced hazardous, toxic cleaning products with “green” alternatives. Two significant renewable energy efforts include an 80-foot wind turbine and 125 solar panels that supplement the Convent’s electricity usage. Green Cleaning Brochure (please print and share). Promote Sustainable Living/Poor: A call for economic equality Presentation Sisters serve locally and globally to build sustainability projects that will help alleviate the root causes of poverty. These projects teach some of the world’s most vulnerable people trades, so they are able to provide food and generate income for themselves and their communities. Bread for the World: A call for sustenance Worldwide 870 million people are hungry. In the United States, one out of every five children don’t know where their next meal is coming from. Bread for the World engages people in advocacy for poor and low income families and urges lawmakers to do their part to end hunger at home and abroad. Each February, Presentation Sisters travel to the South Dakota State Capital in Pierre to sit in on committee meetings, talk with state senators and representatives and testify at hearings. They leave each legislator a loaf of bread, to remind the lawmakers that for many putting food on the table is a daily struggle. Bread for the World website. In 1945, a small group of Catholics in France began to meet regularly to pray for peace. They were troubled by the fact that the French and German Catholics, who professed the same faith and celebrated the same Eucharist, had killed one another by the thousands during World War II. A French woman, Marie-MartheDortel Claudot, planted the seeds of Pax Christi. She invited a French bishop, Pierre Marie Theas, to be the first Bishop President. While in a German war prison camp, Bishop Theas had already begun to pray and work for reconciliation. Under their leadership, the movement spread throughout France and Germany and by the 1950’s began to take root in other European countries. Today Pax Christi is active in over 50 countries. 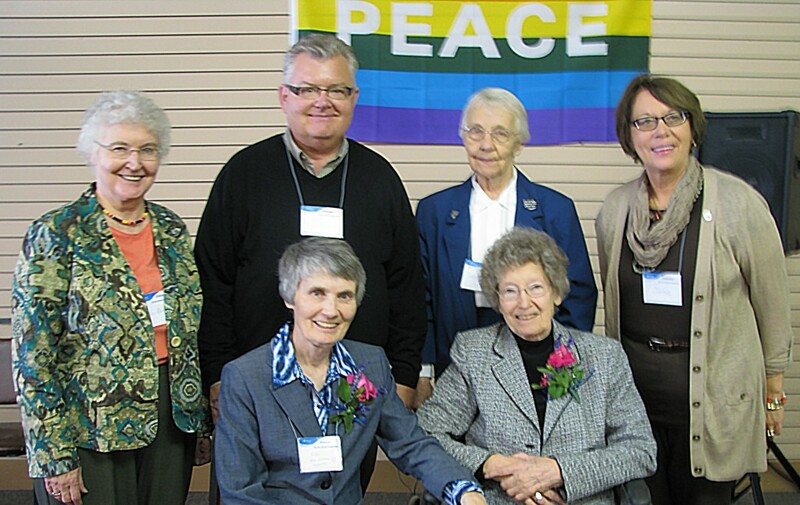 Pax Christi USA was founded in 1972 and commits itself to peace education and, with the help of its bishop members, promotes the gospel imperative of peacemaking as a priority. In cooperation with other groups, Pax Christi members work toward a more peaceful, just and sustainable world through prayer, study and action. Learn more at Pax Christi USA. 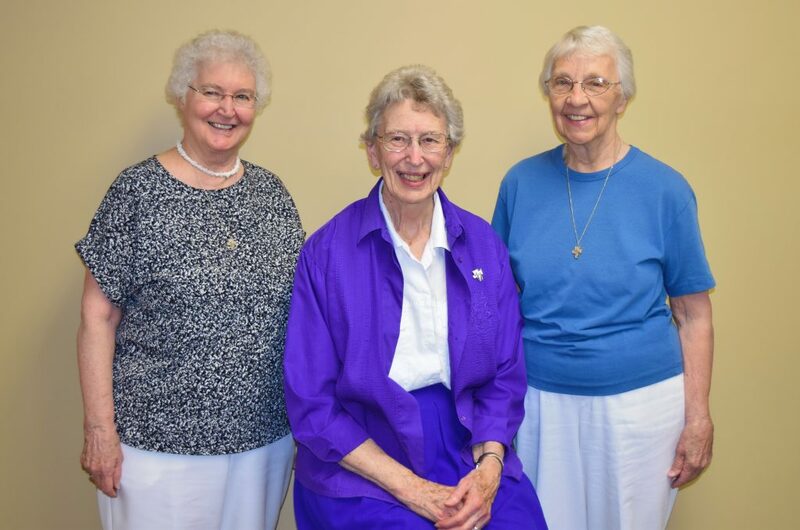 The annual Pax Christi conference is sponsored by Aberdeen Presentation Sisters, the Watertown Benedictine Sisters and local Pax Christi chapters and costs $25, which includes lunch and breaks. Meets at Presentation Heights, 1500 N. Second St., Aberdeen the fourth Tuesday of each month at 7:00 p.m. during spring, fall and winter months. No meetings held May, June or July. Meeting vary in time and place. Meets Caminando Juntos, 617 E. 7th St., Sioux Falls the second Saturday of each month at 1:00 p.m. during spring, fall and winter months. Meetings vary in time and place between Timber Lake and Eagle Butte. Meets at Emmaus House, 401 Green St., Yankton on the first Friday of each month at 7:15 p.m.
Mass followed by the meeting. The summer schedule is subject to change. 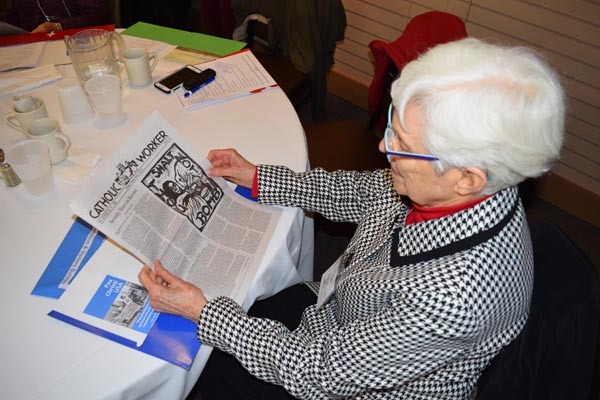 To receive the weekly Rapid Response updates from Pax Christi USA and selected other peacemaking updates, contact Sister Kay O’Neil sisterskandm@mediacombb.net.